David LeClaire is a certified sommelier from the Court of Master Sommeliers and currently serves as Wine Ambassador for Esquin Wine & Spirits, David was the Founder of Wine World & Spirits, the largest independent wine store in the Northwest, and was awarded the “2013 Independent Retailer of the Year” award by the Washington Wine Commission and was featured in Seattle Metropolitan Magazine. He is also the founder of the popular wine club Seattle Uncorked and produces a wide array of wine, spirits, and beer events each year. David served as wine director at Seattle’s prestigious Alexis Hotel (& Painted Table Restaurant) for ten years. David is often booked for speaking engagements for wine clubs and special events, is an instructor at both Bellevue College & North Seattle College, and serves as judge for various wine competitions including the Oregon & Seattle Wine Awards, Northwest Wine Summit, and Seattle Magazine’s Washington Wine Awards. 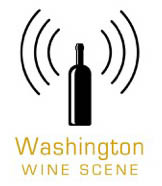 Mr. LeClaire is also a free-lance writer for the Washington Tasting Room Magazine. David is the creator of a multitude of charity fundraisers and promotional wine events, and is also a wine program and marketing consultant with Q Hospitality Management.